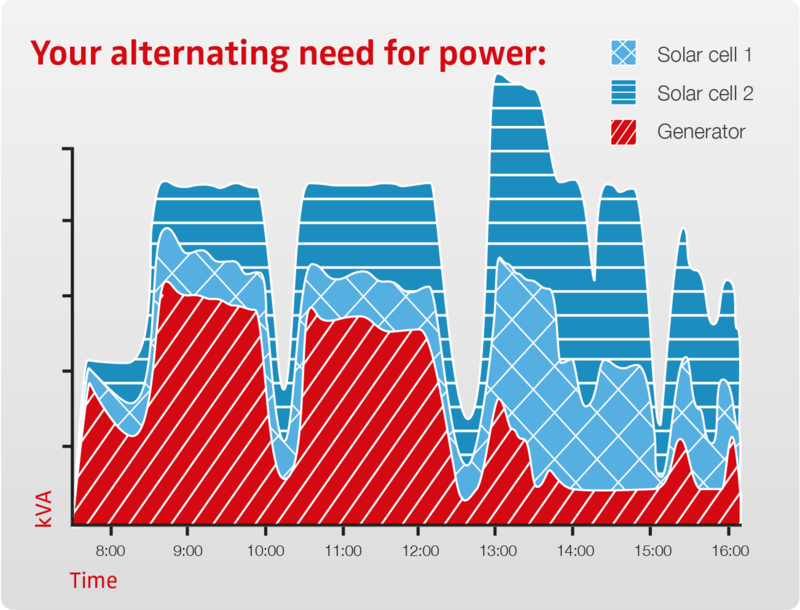 The Off-grid solar-based power plant links a solar installation to a generator that, as a result of a smart tuning mechanism, uses as much solar energy as possible for the end user. 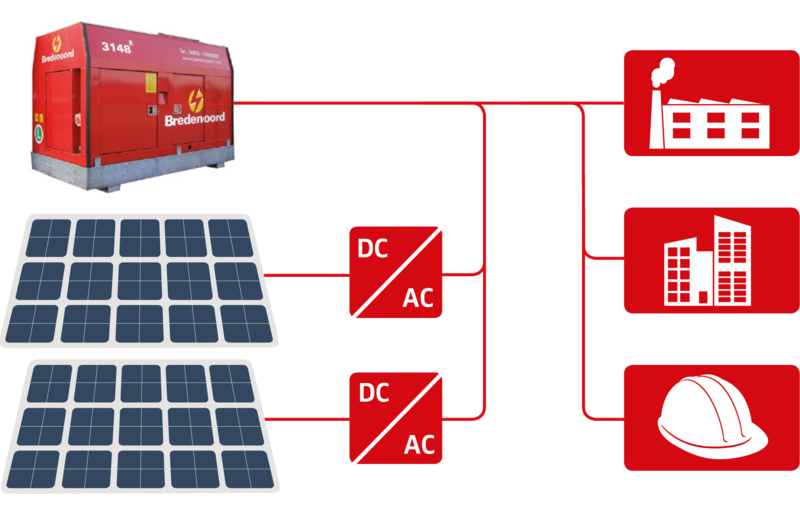 In this process the generator guarantees the stability and warrants a maximum energy availability. Please contact Franz Hullegie for more information.